Are servers down? Seemed to have trouble logging in. It's giving me connection time out error. Please advise. I'm having problems to, keep getting a NETWORK FAILURE MESSAGE. I think it's updating to 277.0 but not sure. I just updated my game to the new version and it took awhile too. Yeh I can't find any threads about it though. Yeah that's possible. Been trying all day but no luck. All 4 servers are not accessible. I messaged admin but I didn't hear from him yet. We'll just try tomo again. 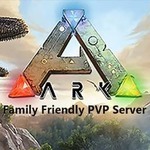 Ark pushed an update, servers will be up shortly.